Scalar irradiance, our preferred term, is frequently abbrebiated E0 or h in the marine optics community. 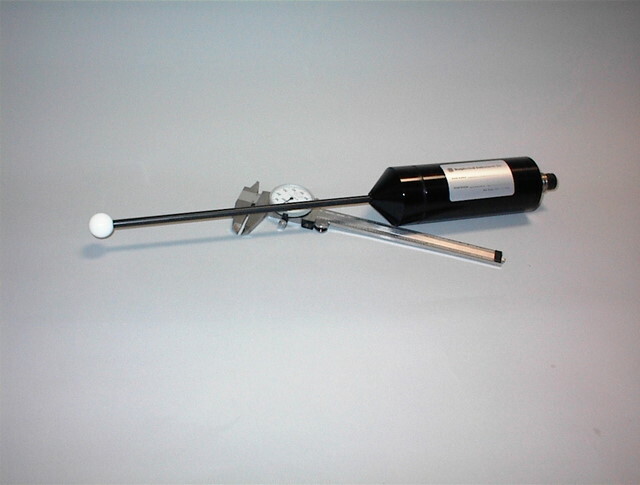 Frequently, it is used in biological studies to measure the photon flux in a media. Scalar irradiance is defined as the irradiance on a point from all directions weighted equally (as opposed to "cosine" irradiance, which is the flux on a surface with a cosine function weighting). As most phytoplankton are randomly oriented in natural waters, measurements of scalar irradiance allow estimates of the total photon flux available for photosynthesis. 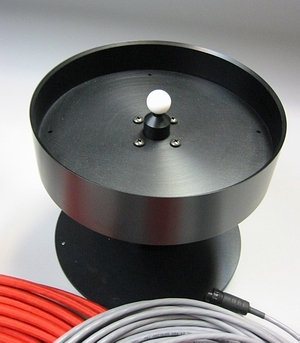 Scalar irradiance meters are normally calibrated using a standard of spectral irradiance, at a distance of 50 cm. Ideally, a scalar irradiance sensor would measure the same when exposed to such a surface, for all orientations of the sensor. Figure 2: QSR-2100 sensor. A ring around the collector assures that only radiation from the upper hemisphere is measured.Examples of scalar irradiance sensors include the AMOUR, the QSL-2100 series, and the QSR-2100 series (Figure 2).